For everything he’s done through an amazing 13 seasons of It’s Always Sunny in Philadelphia, Charlie Day is already a comedy legend. His comedy doppelganger, Charlie Kelly, is one of the most memorable sitcom weirdos this side of Cosmo Kramer, and the legacy of the show will be with him forever. But Day is also an ambitious actor, and at the age of 42 he’ll be making his feature film directorial debut with El Tonto, a satire about the Hollywood system that he’ll also write and star in as well. What is this, Mr. Bean? Regardless, it certainly feels like Day will be treading some familiar ground and playing a character with at least some similarities to It’s Always Sunny’s Charlie, although Charlie could at least speak—sort of. No word yet on if the lead character of El Tonto is mute, or occasionally huffs paint, or has recurring nightmares about a Night Man from his childhood. This is the middle of a very busy period for Day, who also has a number of other irons on the fire. In addition to being the co-creator of It’s Always Sunny, which he also writes on and executive produces, he’s also the co-creator and exec producer of an upcoming Fox comedy called Cool Kids, which will debut on Sept. 28. He’s also in the process of co-creating a half-hour comedy for Apple with It’s Always Sunny co-star Rob McElhenney, so Day’s slate is clearly quite full. 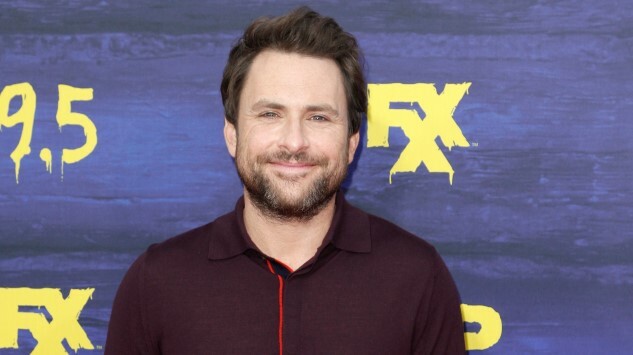 We’ll bring you more information on the directorial debut of Charlie Day as it arrives.